WARNING!!!! DO NOT BEGING READING THIS BY READING THE THREE LAST SENTENCES IN THE FIRST PARAGRAPH!! Stephen Hawking and I have been working for a few years to compile a theory of how everything works. I am inventing quantum psychology field is also what this was all about in the beginning. This is the reason Stephen Hawking dooms philosphy as dead and I declare Quantum Psychology as the new black and the Diagnostic Manual for Mental disorders is invalidated! You will follow Robert Cialdini’s authority princple and discredit my work because I am utterly useless in your eyes. That is your reality, not mine. And if you choose to not follow these links in this article as prescribed above, you wont understand much of it at all. Statistics also do not account for infinite amounts of input data and thus statstics are on a quantum level completely irrelevant! First we need to make some interesting assumptions. -At some point in our history someone decided we all needed fear to keep these realities from colliding. 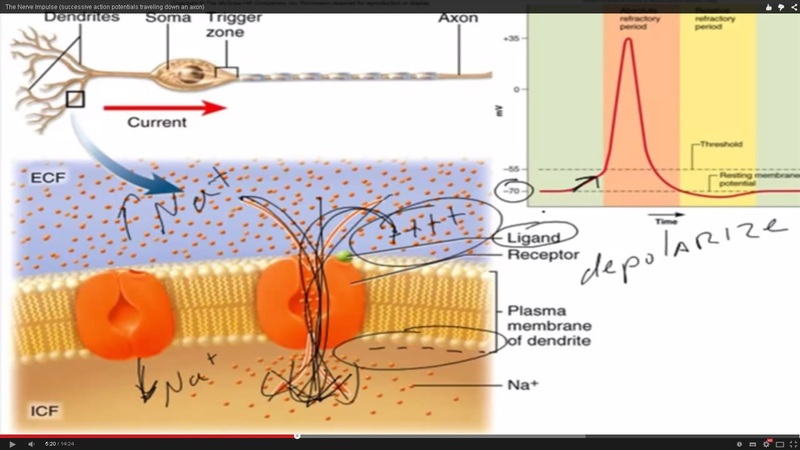 What would happen in a normal brain, such like yours and mine, is that there is a diffusion of NA+ and K+ accross the cell membrane towards the lower concentration of NA+ and K+ in the dendrites. This happens in the gated ion channels between ICF and ECF by diffusion. If you however increase the frequency to match the resonance frequency of the mechanical ion gate by converting electrons to waves in the axons or inducing it from an external source such as (EM), ultrasound, microwaves, or externally applied current (latter being used in electroshock therapy http://en.wikipedia.org/wiki/Wave_function it will cause resonance in the Ion gates and you will change the viscosity and create something normally called liquefaction by geologists. Doctors will understand this translation of the same concept. That is where you change a solid to a non-liquid that will behave according to fluid dynamics. This means that you can pump NA+ and K+ without energy against the regular flow of diffusion (Capilary action). This could potentially create a positive feedback loop of ever increasing potential. So, emotions can be quantified, altered and changed. It all depends on the frequency and the amplitude of the curve induced to allow the capilary action to take place against the regular flow of diffusion in the ion gates. 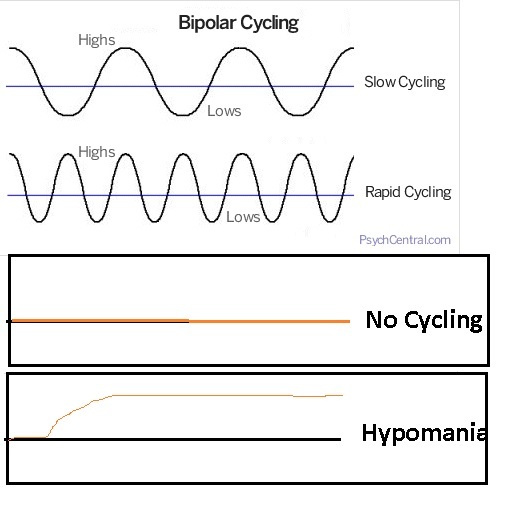 Theoretically, if we are able to create a positive feedback loop in the brain by inducing the correct resonance frequency, it should be possible to change the frequency of a Bi-polar patient from slow cycling to rapid cycling. Furthermore it should be possible to change to no cycling and even hypomania at will. The fear is a failsafe build into our programming (by society and power-over-others entities) to prevent us from doing what we today due to social constructs would consider stupid or dangerous. The failsafe could have been embedded into our programming by keeping man and woman appart, separating them with fear. Man and woman has since “Adam and Eve” been unable to live together in perfect unity. Fear is the reason for that and it prevents ascension for many. However, Otto Rank figured this out back in the 1920’s and since then, things have been changing rapidly. The Buddah’s knew this aswell and were unreactive to any input positive or negative so that they would not increase their own potential. Today we call this state “Blunted affect” One would argue it must have been a life without smiles. The Buddah’s realized that when person A mocks person B saying stuff like “You are arrogant, you are stupid, you are beautiful” then it is essentially just manifestation of ones own self-image upon another person. In reality, Person B can clearly see that person A is the origin for the feelings that were expressed and projected towards person B. Thus “If someone offers you a gift and you do not accept it, then who does the gift belong to?” It belongs to you. This happens because they know internally that the medicine they give people only damage the physical complex more and is a patch on a wound, not a fix. This perception of reality goes back a long way and has become the basis for the social construct inducing our fears. The big bang was a creation of our realities colliding. This collision occoured because all of our energy collided due to spiritual gravity. When in human state, We needed something to keep the energy apart, so we created what we today know as “fear”. Fear being the opposite of Love and thus the opposite of gravity. At the time before the Big Bang that we percieve today, we were “One Unity” or one entity, Energy was dispersed throughout the universe shortly after the Big Bang. Religion is real yet not real. Religion is one of the methods we have been using to keep ourselves in check (failsafe from cascade failure) so that we would not create a new big bang by loving each other too much, thus gathering too much energy (love/gravity) in one place. The fear of gods wrath was supposed to keep us in check. During meditation we focus our entire brain on “emptyness” or, actually we do not? we focus it on one single point in our brain and we are directing alot of energy towards that single point. If we had enough mass and energy, we would theoretically be able to create unstable particles such as Quantum Black holes. As Hawkins explained, the event horizon of a black hole contains data in binary form that can be read during meditation. This explains the “figures” or “movies” as I decide to call them that many people experience during meditation, but are affraid to talk about. When a black hole evaporates, and it does as it is essentially unstable, it releases other particles that create a resonance in the brain. This ressonance can be used or abused to increase ones own abilities beyond what we in our individual realities with our biased perception consider, natural. Thus we develop supernatural powers such as predicting the future of currencies. The previous displays my Bitcoin predictions. Bitcoins is essentially just a currency like USD so what I am able to do, converted to what you consider “normal money” is to predict the price of USD/EUR within a 24 hours period. This power is actually not really predicting the future. It is the future self (electrons) traveling back in time and triggering what we know as “premonitions” The more we meditate the more this will happen and eventually we will create a positive feedback loop transfering more and more energy from our future and past selves into our “present” self thus increasing the mass of electrons flowing in our brain and increasing gravity. We consider the absorption of previous self as “memories” and the more energy you can draw forward to the present, the more photographic that memory becomes. The increasing energy coming from the future selves will present itself as premonitions. There is a catch though, this causes what we today call “Schizophrenia“. It is infact just ourself talking to our future and present selves and the brain will contain more than 1 reality. A normal brain is designed to handle only one reality. The alternate realities always have some really good ideas that the present self cannot cope with untill enough data is available to make sense of the experiences. Since we are stubborn by nature, and probably become fearfull of the experience, it triggers what we usually call word-salad or people talking to someone inside their head, which to us seems rather funny but to the person itself, he has multiple realities of self inside himself. Future, past and present selves. I tested this theory on one patient, the past self was affraid of me because he did not know who I was. The present self remembers me and was not affraid. The future self responded to me when I asked him why he had come back from the future, he answered with answers that made sense, unfortunately, his past self who does not know me took over and he eventually ran away from me with a fearfull expression on his face. As we have already established through current proven science, electrons can flow assymetrically in time and since mass=energy we can move our “minds” back and forth through time once we gather enough data to do so. As stated earlier meditation can eventually cause a positive feedback loop so that our future self becomes incredibly smart with the data absorbed by the “present” self. That way he can transfer more data back to the present so that the present self becomes smarter. It cases Schizophrenia for some though. Flashbacks are not really flashbacks, they are energy coming from the future, being absorbed by the already present gravity. As this gravitic field in the beginning, before focusing is not particularly big, we do not get these very often. The more energy is absorbed and the more the brain capacity is increased, the more these flashbacks occour. If enough people keep doing this in any part of time, we will end up with a cascade failure where one reality after another will collapse, thus destroying what we percieve as reality today. Eventually the amount of energy causing this cascade is insufficient to keep the collapse running and some realities will continue to exist. Remeber the movie Butterfly Effect? Well, thats it! Now this is the most sane thing I have read in my entire life (past present and future)!! I am with you on this, I have been experiencing this merging of realities and it’s nuts, but oh so incredible. I have seen the event horizon of a black hole an experienced the light being drawn back into the hole at the same time as popping back into reality at the horizon. This occurred in synchronicity with my breathing – freaky stuff.